Walter Veith’s Total Onslaught series was a turning point in my walk towards the Bible and truth. I recommend it for anyone needing to see the bigger picture with what is going on behind the world scenes. Jesus Christ the Son of God is being marginalized and is being brought down to a level of all other religious teachers. If you haven’t seen the Total Onslaught series then please watch it. Amazing Discoveries has been very kind to put the whole series on YouTube for free. I encourage people to donate if they have been blessed by the information that is provided. I’m thankful for Walter Veith dedicating his life to preaching and teaching God’s word. 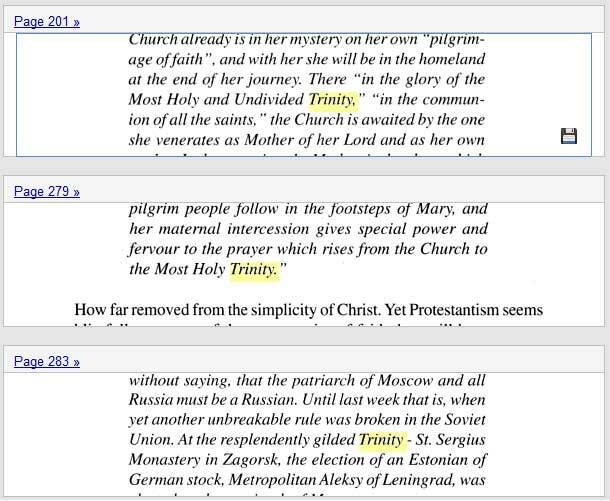 Since learning that Jesus is truly the Son of God I have been wondering what Walter Veith believes about the trinity 3-in-1 and 1-in-3 god. No matter how much we have been blessed by various preachers and teachers of God’s Word we are still admonished in Acts 17:11 to study for ourselves if what is being taught is Biblical. We have also to be aware of private interpretations of God’s Word. I have Walter Veith’s book Truth Matters. There is a lot of good information such as the state of the dead, the judgment and prophecy with each topic having strong Scriptural evidence for the belief. What about the trinity? The book Truth Matters talks about the trinity 7 times. Each time the trinity is taught in the Truth Matters book it is by way of assuming that the doctrine is true. Notice the chart on page 381 and you will find scripture evidence for each point except the point about the trinity. There is no proof for the doctrine of the trinity in the book Truth Matters. The book only assumes the teaching. 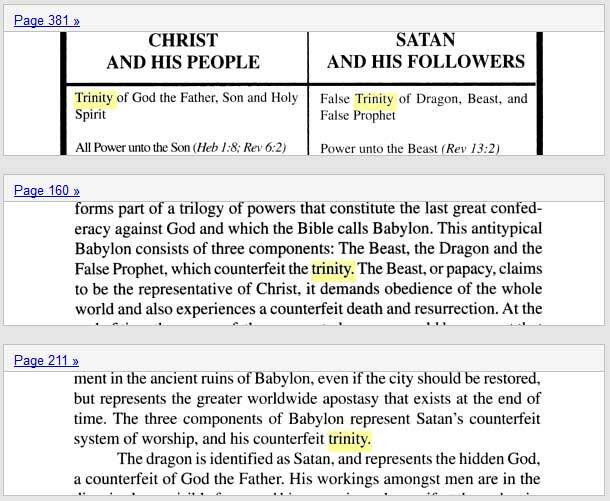 Please be aware of this when reading any book teaching the trinity doctrine. To assume something is to take something without proof. The majority of Christian denominations teach the doctrine of the trinity. Please do not base your beliefs only on the majority. I would like to know if anyone has talked to Walter Veith about the trinity doctrine and what is the scriptural evidence he has for the doctrine. Perhaps Walter Veith has a video about the trinity or a sermon that he has preached on the trinity. If anyone has links regarding his teaching on The Father, Son, and Holy Spirit, a unity of three co-eternal Persons please let the readers know in the comment section below. Linked here is a video where WV references the trinity. He makes it sound like it’s an established truth and there’s no debate about it. He also says that HOW it’s understood IS NOT A SALVATIONAL ISSUE. He then continues by confusing the NATURE of the Holy Spirit with the IDENTITY of the Holy Spirit. All this begins at the 17:48 mark, and then another wrong comment/conclusion at the 49:29 mark. Thank you for sharing the thought and the video with time stamps. That is very helpful and appreciated!